ESPN dropped an estimated 100,000 subscribers from November to December, 274,000 from August to December, and 916,000 since February. FS1 has lost an estimated 775,000 since February. On Disney’s Q4 earnings call in November, CEO Bob Iger said the company was “heartened” that cable subscriber losses weren’t as steep as in prior quarters. However, Nielsen’s December cable carriage estimates suggest ESPN is still losing subscribers at a comparable rate to what we’ve seen before, thanks to a big November to December plunge. Sports TV Ratings has posted the November to December numbers here, and previously posted the August numbers here; here’s a table combining that information (all numbers in 000s) for English-language sports networks. So, ESPN dropped 100,000 subscribers from November to December and 274,000 from August to December. And they’d previously dropped 220,000 from March to August, and 422,000 from February to March. Back in February, ESPN was in an estimated 87,859,000 homes, so they’ve lost an estimated 916,000 homes this year. And that wouldn’t seem particularly seasonal, as many of ESPN’s biggest properties (in particular, the NFL, college football, and the NBA) are all ongoing right now. Now, it should be noted that this is an estimate only, and ESPN has disputed Nielsen coverage estimates before. Also, this estimate doesn’t completely include digital streaming bundles like SlingTV and DirecTV Now, with only 111 households with those digital multichannel video programming distributors (MVPDs) in the total sample (around 40,000 households) as of December, and Iger mentioned “a nice pickup in subs” on that side in November. 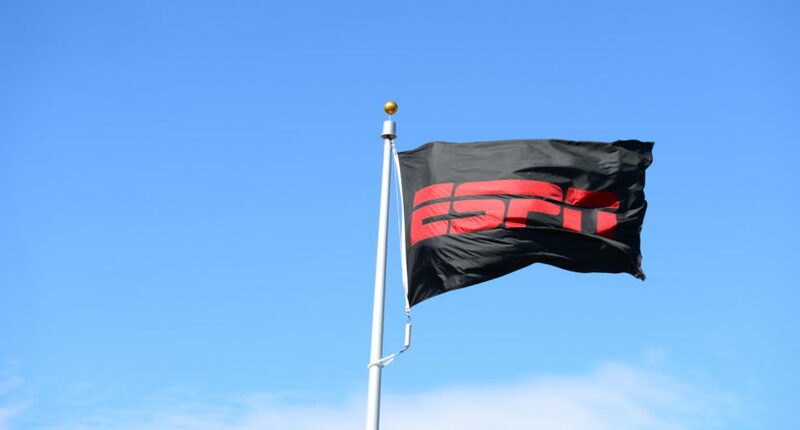 ESPN has said they make just as much money per subscriber from deals with digital MVPDs as traditional cable or satellite companies, and that those companies are a key part of their strategy, so the actual numbers may look better for them than the Nielsen estimates. But these Nielsen estimates suggest that the trend of declining traditional subscribers to ESPN is continuing. And that’s not just about the main channel; it’s also notable to see how hard ESPNU has been hit. As for FS1, their November to December trend (-199,000 subscribers) is worrying, but they’re still up by 93,000 versus August. They’re down big on the year, though, thanks to a loss of 565,000 subscribers from February to March. FS1 had an estimated 85,269,000 subscribers in February, so they’re down 775,000 since then. That’s not quite as much as ESPN, but it’s not far behind, and it’s notable that there’s still a significant gap (2,429,000) between the total subscribers for ESPN and FS1, and that gap hasn’t narrowed much from the 2,590,000 it stood at in February. A few other takeaways here; NFL Network’s down month-to-month but up big since August (unsurprising, as some people likely only subscribe to it once the season starts), Golf Channel and NBA TV are down big since August, and TNT has seen a significant loss since August (interesting considering that the NBA season is now well underway). And the Sportsman Channel (the Stan Kroenke-owned hunting and fishing network) has been hit particularly hard. In general, it’s not a great time for cable sports networks. That’s part of the decreasing cable universe overall, and as aforementioned, it doesn’t really fully consider gains they say they’re making on the streaming-bundle side. But there are still plenty of subscriber loss worries for sports networks, including ESPN and FS1.